Thursday marks the Thanksgiving holiday in the US. And to celebrate, Americans eat lots of one animal: turkey. And while Americans eat millions of pounds of turkey each year, there are fewer than 5,000 American workers employed in the turkey production industry. 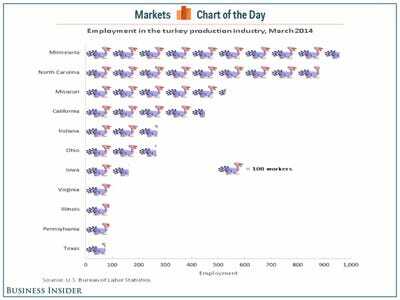 According to data from the Bureau of Labour Statistics, the state with the most workers in the turkey industry is Minnesota, with 957 employees in the industry. Following Minnesota are North Carolina, Missouri, and California. 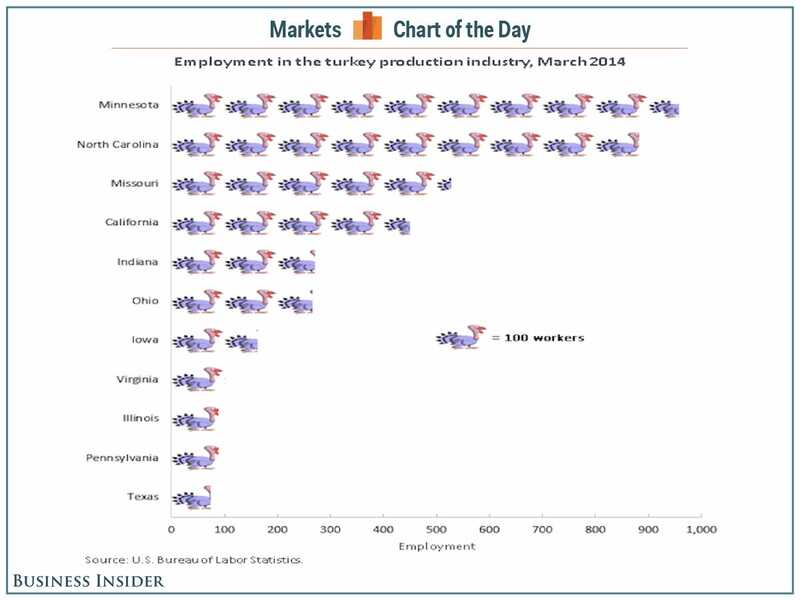 To celebrate Thursday’s holiday, here’s the BLS’ chart ranking the turkey production states.